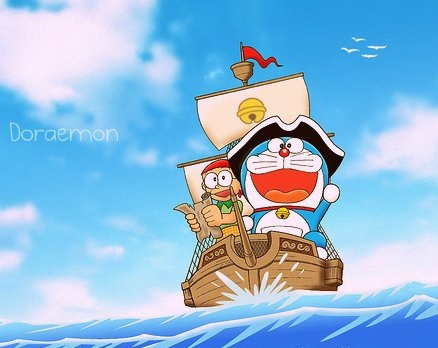 If you are a big fan of Doraemon, you’ll really need to visit Japan after hearing this news! On September 3rd, the Doraemon museum (Fujiko F. Fujio Museum) opens in Kawasaki city, Kanagawa prefecture. The late Fujiko F. Fujio was one of the creators of Doraemon. This three-story museum contains 50,000 valuable original pictures donated by his wife. His office room is exhibited in exactly the same state as it was during Fujio’s life. And there is a cafe where guests can enjoy food that appeared in Doraemon stories (ex. memory bread for exams) or in other manga. What’s more, outside the building, you can enjoy elements of Doraemon’s world, such as the “anywhere door” and “earth tubes”. Here is a video of the pre-opening event for mass media. Would you like to visit the Fujio museum? 😮 Here are some inside tips! You can’t buy admission tickets at the museum. According to the website, the museum requires a reservation so that every guest can take his/her time to look around. Purchasing entry tickets is kind of complicated. Tickets are sold a little over one month in advance, starting from every 30th of each month (e.g. tickets for September admission are sold on July 30th). And each day, entrance times are divided into quarters: 1)10:00 / 2)12:00 / 3)14:00 / 4)16:00. What’s more, reservations can be made only at Lawson (convenience store), or on the special Lawson ticket website (http://l-tike.com/), or by phone… Hmm. Sounds a bit difficult (-_-;) I’d rather buy advance tickets at the museum. A Building in Japan That the Roof Opens Wide! ?